This post is for the curious who are thinking about trying some wire bending. 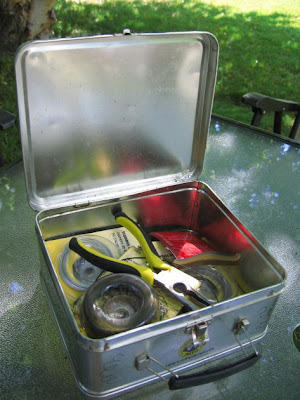 One viewer in particular actually asked for, and got some pliers and wire for Mother's Day! Well, I promised a little lesson, and here it is! The best way to learn this material in my mind is to write with it. That's right, write. You really get a good feel for bending the wire. You will probably discover that this is a heck of a lot harder than it looks, but with practice you can do it. After a while at this, you might be ready to draw something, and here is the foundation to most of my wire work- the loop. With loops placed at strategic points in your work, you can build strength and stability. These are the connecting points in the sculpture. Without welds, or solder, you still need a way to connect, and these are better in my mind. Master this way, and other ways seem unsophisticated by comparison. 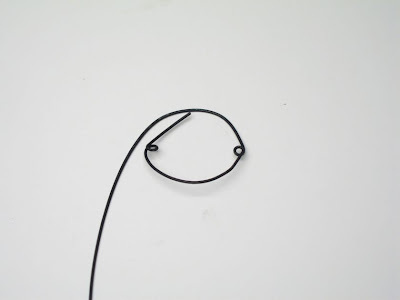 With a couple of loops and a bend of the wire, we can roughly make a circle. Now I want to close the circle. I have cut my wire, but still have a long enough piece to go through one of the holes, but still have enough to wrap around the part of wire just outside the loop. 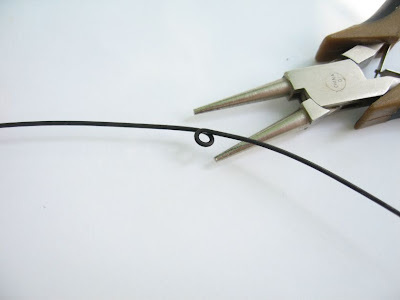 This is another key- when you wrap wire, it must be wrapped tightly and consistantly. This will keep your work from looking sloppy and conspicuous. It's best if you use your pliers to grab the loose end and wrap it around, because your fingers can't usually do it well enough. Now you have a little base to build off of. 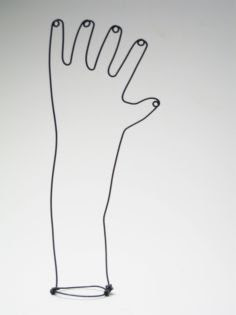 Here, I've drawn a hand and connected it through the same loops as before. From here, I can add the arm to something else if I want. 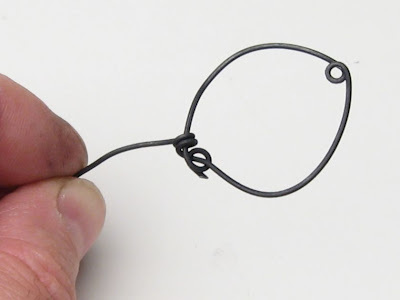 If you plan to use the same loops for that, remember to make them big enough for more pieces of wire to go through. 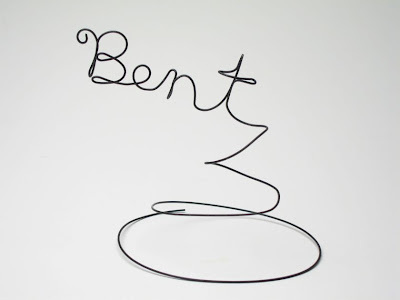 A funny thing about wire is that you can only draw as well in wire as you can with a pencil or pen. It is exactly the same in a lot of ways, even better since you can move and adjust your line after you've drawn it! But the difficulty goes to the next level when you start to make 3 dimensional objects. I'm not going to get into that here, too many variables. It's just a lot of trial and error. But it's worth it when you can make it work!